you've decided to set up for yourself, at a glance. 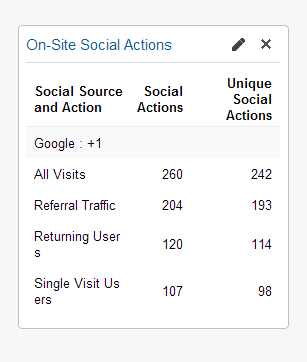 Viewing Google Analytics and Google Webmaster Tools reports can be addictive, or a completely baffling snooze-fest. There is something within our human nature that causes us to get focused on benchmarks and progress reports, causing us to get sucked into data while trying to make sense of it, or completely glazing over and tuning out. In trying to make sense of numbers and charts, our brain likes to draw conclusions, in a similar way that a Rorschach Test records our perception of inkblots that are then analyzed for psychological interpretation. Our moods often affect our perception of the reports and data in Analytics unless we turn away from the data, and instead focus our efforts into evaluating our performance in the context of what it means for us to achieve successes. We need to focus our efforts on goal accomplishments, acquisitions, and deriving actionable intelligence from the data. 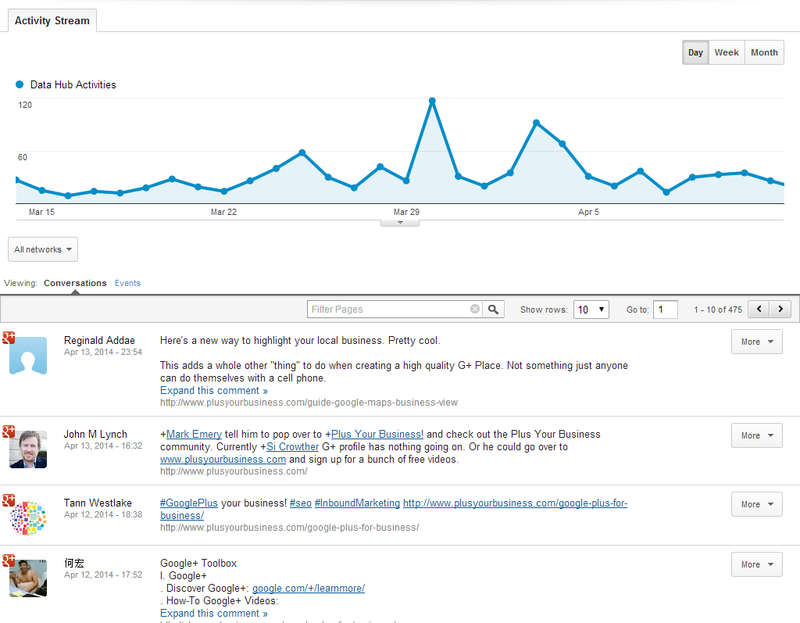 Looking for help with your Google Analytics and Google Webmaster Tools? Seeking to improve your mobile SEO? Learn about our consultation services or contact us now! what it takes to convert an action. By nature, a website serves two masters: the owner of the website (business, organization, individual) and the audiences of the website. A good website must find a harmonious balance between the goals of the owner and the goals of the audiences. For example, a website visitor might land on a blog page within your site, from a search engine query, looking for the answer to a question. They want that question answered. You, the owner of that website, might want to convert that website visitor into a newsletter subscriber. Each side of the equation wants their goals achieved, but a harmonious arrangement must be reached otherwise only one side's goal will be completed. The website owner places a full-screen "sign up for my newsletter" overlay atop of the blog post, requiring the visitor to click the close box in order to read the content. This annoys the visitor, causing them to hit Back and exit the website entirely. 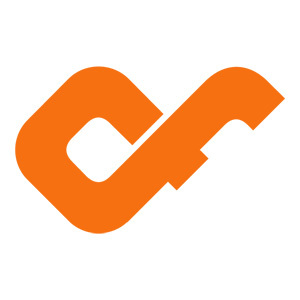 The website visitor reads the blog post in its entirety, but at the conclusion does not fulfill any actions benefiting the site owner because they have been made overly innocuous, hidden in swing-out functions or placed in the wrong spots within the page. Within a website, a goal is the action or behavior that each side wants to fulfill, thereby creating a successful visit. The best method for structuring a website strategy is to create a prioritized list of goals for both the owner and the audience. These goals can and should range from Big Goals (such as making a purchase) to Small Goals (such as getting a new follower or getting a reader from 1 page per visit to 2 pages per visit). With these goals listed and prioritized, save this list somewhere that you can refer back to it often, and evaluate any feature and functionality that you have in your site and change that you might make in the context of how it impact these goals. understanding of your content and traffic. In a previous blog post we discussed our approach that we dubbed "the Magic 8 Ball method" for Google Analytics and Google Webmaster Tools. In a nutshell, the method is to formulate meaningful questions to ask your Data, and use it to return quantifiable metrics that answer your question. What percentage of people are taking additional actions once they've landed in the site? 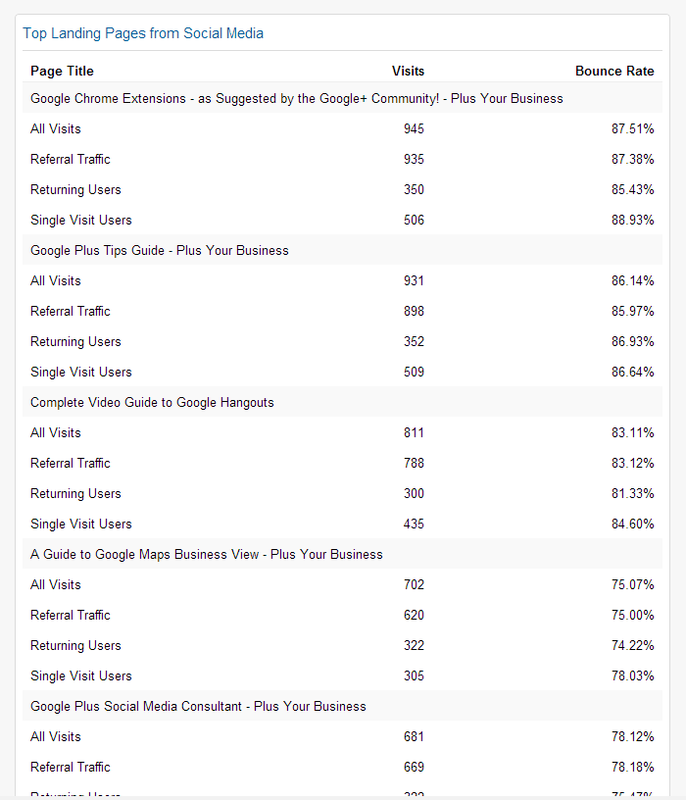 Where are visitors coming from, and for each source, what are the top pages they're going to? Notice that these questions aren't looking at for a number such as Pages Per Visit, or Average Time on Site, etc. These questions are looking for a metric in context to answer a specific question. Google Analytics provides a lot of information by default, however, to get the value-based reporting that we need to truly understand the successfulness of our website, we need to go a step further and implement Goals, Event Tracking, and/or E-Commerce Reporting. Each of these three reporting add-ons provides you with results-based metrics that, when added to your Analytics reporting, enables you to see most reports in the context of different types of success acquisitions. With each of these types you can add an optional monetary value to the conversion, as well as enable "funnel tracking" to see where you are losing conversions along the path towards the final goal. Event tracking is part of the previous Goal tracking, but as it is initially set up independently, and can sometimes be valuable even when not tied into Goal. For example, you might have in-page elements that you want to track, but more specifically, track independently, such as multiple "register for our newsletter" buttons. With event tracking you can see which buttons are performing the best, and adjust their positioning or styling accordingly. Event tracking gives you a level of granularity and insight into how your audience is using your site and specific elements within your site and within specific page(s). If you're doing e-commerce this should be considered a mandatory aspect of setting up your e-commerce store. Enabling this information tracking in Analytics provides you with specific, monetary insight into every aspect of your Analytics reporting. Without it you're essentially selling your products without any market intelligence beyond "I made a sale". not be bouncing in a visit. Continual improvement and innovation needs to become your mantra for your website if it's not already. Every website can always be improved upon when it comes to goal acquisitions and conversions. Our method, however, is not to look at it as "improving your statistics", but instead "better accomplishing specific goals" that you have set forth, then come up with various ways that you could accomplish that goal. And not to just formulate these goals for one-time use, but to document them and track them so that you can refer back to them. For example, a goal might be lengthening user sessions by giving them additional reading (more clicks per visit). A hypothesis might be "I want to add a 'more related reading'-type widget... so if I add this one with thumbnails to the bottom of my post, it should lengthen the sessions and keep the visitor more engaged". You would then add the widget, set an annotation in your chart, and test the hypothesis for a long enough period of time to garner a large enough data set. Another goal or question you might have is regarding your content Above the Fold and Below the Fold, and whether you are capturing the user's attention as they move down the page and view your calls to action. There are many ways to test this using event tracking in Google Analytics, and you can read more on our article Above the fold, below the fold, and gaining reader success insights. With the data-set completed, you'd then compare periods and see if it improved the goal, negatively impacted the goal, or had 0 impact. Rinse and repeat! Data has a way of giving everyone a bit of Attention Deficit Disorder (ADD), in addition to the inkblot aspect. The best way to maintain focus is to create a custom dashboard(s) for your Analytics usage, a one-page view of all of the charts and reports that you are tracking. 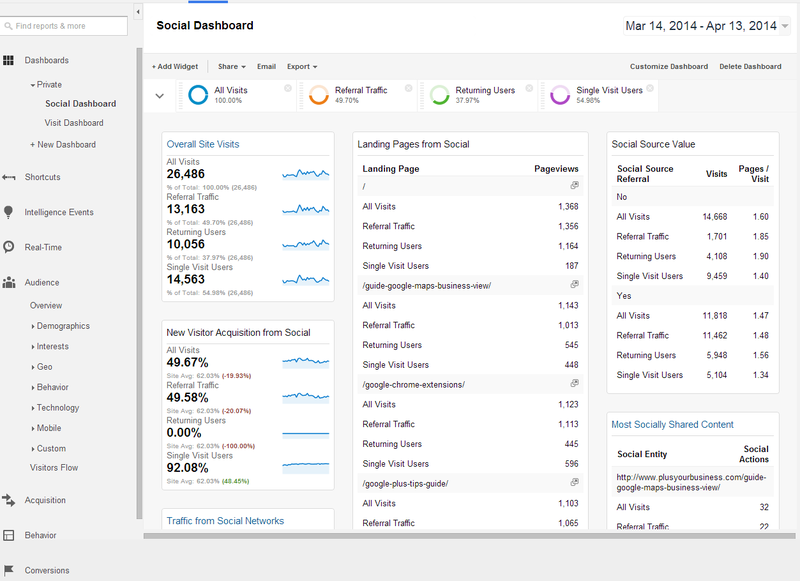 This strategy enables you to spend less time wading through the many levels of Analytics, and instead really hone the dashboard's data views to give you the quality reporting that you need, at a glance. These Dashboards are limited by the number of visualizations that you can have in each dashboard, but you can have more than one. A strategy that we employ is to create multiple dashboards around a specific theme. For example, one dashboard might be arranged on the idea of learning about user behavior (where are they coming to, what are they doing, where are they leaving), or another might be around social media (users coming from social media, users taking social media actions in the site). sites such as Google+ and others. Never stop questioning your site's performance and striving to make it better at fulfilling your audiences goals as well as your own goals. Google Analytics is a tool to help you track your site's visit metrics, but only you can provide the insight to turn those metrics into the actionable intelligence needed to make it valuable. Without the insight that you provide to it, Analytics is simply a website full of worthless data; by asking good question, and customizing the installation, you are turning that worthless data into invaluable insight. Looking for help with your Google Analytics and Google Webmaster Tools?